Cold-Filtered Whey Protein Isolate, Cocoa processed with alkali, Natural And Artificial Flavors, Salt, Xanthan Gum, Sunflower Lecithin, Silicon Dioxide, [Endopeptidase, and Exopeptidase (as IGNITOR™ Enzyme)], Sucralose, Acesulfame Potassium. Cold-Filtered Whey Protein Isolate, Cocoa processed with alkali, Natural And Artificial Flavor, Salt, Xanthan Gum, Sunflower Lecithin, Silicon Dioxide, [Endopeptidase, and Exopeptidase (as IGNITOR™ Enzyme)], Sucralose, Acesulfame Potassium. Cold-Filtered Whey Protein Isolate, Natural And Artificial Flavors, Xanthan Gum, Salt, Sunflower Lecithin, Silicon Dioxide, [Endopeptidase, and Exopeptidase (as IGNITOR™ Enzyme)], Sucralose, Acesulfame Potassium, Cinnamon. Cold-Filtered Whey Protein Isolate, Natural and Artificial Flavor, Freeze Dried Strawberry, Salt, Xanthan Gum, Silicon Dioxide, Sunflower Lecithin, Citric Acid, [Endopeptidase, and Exopeptidase (as IGNITOR™ Enzyme)], Sucralose, Acesulfame Potassium, Fd&C Red No. 40. 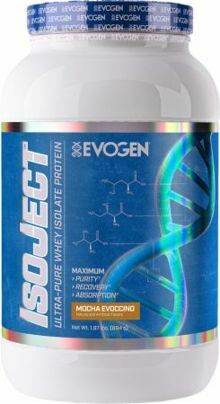 Cold-Filtered Whey Protein Isolate, Natural Flavors, Xanthan Gum, Salt, Sunflower Lecithin, Vanilla Bean, Silicon Dioxide, [Endopeptidase, and Exopeptidase (as IGNITOR™ Enzyme)], Sucralose, Acesulfame Potassium.